Liverpool have completed the signing of Uruguayan striker Luis Suarez from Dutch club Ajax in a five-and-a-half year deal worth about £22.7m. "Luis Suarez has completed his transfer to Liverpool in a deal that will keep him at Anfield until 2016," a club statement read. Suarez, 24, will wear the coveted number seven shirt, made famous by his boss Kenny Dalglish. The striker scored 49 goals in 48 games for Ajax in the Eredivisie last season. Suarez admitted: "It's a dream to be able to come and play here. "Liverpool is a very famous club, the most famous club in England, and I watched Liverpool and English football as a boy. "My aim is to work, to show the fans how hard I am ready to work. I want to put in lots of effort, to show people my capabilities. "First of all I want to try to play as many games as possible and help move us up the table. "My ambitions for the future are to do my very best for Liverpool, to try to learn more about English football and to become a champion." Ajax, who told Liverpool to return with a "respectful" bid after rejecting their initial offer of £12.7m, will make a £16.3m profit on a player they bought from Dutch outfit Groningen in 2007. But BBC Sport blogger Tim Vickery suggested that Liverpool have invested wisely. "If I had £23m in my bank account I wouldn't have too many qualms about spending it on Suarez," Vickery told BBC Radio 5 live. "Everybody wins. Ajax played the transfer game poker very well. Liverpool have paid top whack but they have got a striker who can play across the line." During his spell with the Amsterdam club, Suarez scored 111 goals in 159 appearances. His scoring ratio for Uruguay is one goal in every three internationals, having scored 10 times in 30 games, including three goals in last summer's World Cup. The Uruguayan has just finished serving a seven-match ban for biting PSV Eindhoven's Otman Bakkal on the shoulder in a league match in November. "I can understand Luis wanting to go to Liverpool. It's a beautiful club but then it has to be satisfying for both parties," said Ajax manager Frank de Boer. Suarez is the first major signing for Liverpool owners New England Sports Ventures (NESV) since it bought the club in October 2010. But the news comes as Liverpool are on the brink of losing star striker Fernando Torres to Chelsea, who are working to seal a deal for the Spaniard before the January transfer window closes at 2300 GMT on Monday. 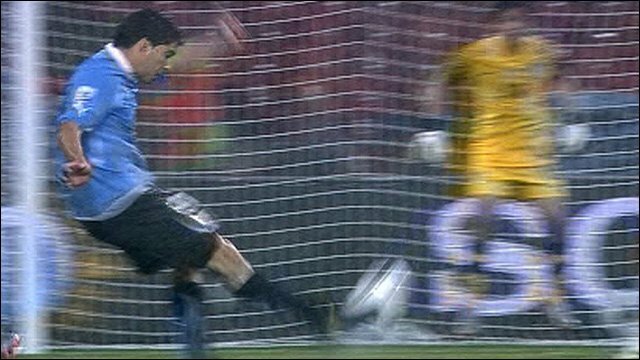 Suarez was at the centre of controversy when he was sent off in Uruguay's World Cup quarter-final against Ghana for handling the ball on the line to keep out Dominic Adiyiah's goalbound header in the last minute of the game. 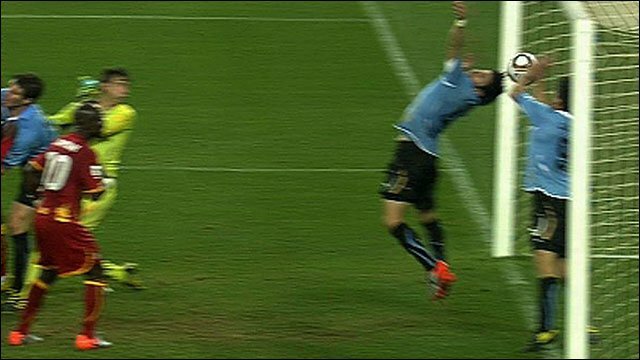 Ghana missed the subsequent spot-kick and were beaten in a penalty shoot-out - with Suarez celebrating from the sidelines. Earlier this month Suarez, who has scored seven goals in the Dutch league this season, spoke of his desire to play in the Premier League. "I used to think that English football was not my style," the Uruguayan, who turned 24 on Monday, told the Sunday Times. "But I saw Carlos Tevez play at Boca and Corinthians and I never imagined that he would play in the Premier League. "When I see the way that Tevez plays there I think I can be a big name in England. It's because of the energy, and the spirit they put into the game in England. Now, I think it's a kind of football that suits me."